Liverpool Ladies duo Shanice van de Sanden and Niamh Charles have been nominated for the MBNA 2016 Northwest Football Awards (NWFA). Dutch international Van de Sanden has been one of the Reds' stand-out performers in 2016 and has made a massive impact this season. The 23-year-old has been in outstanding form since joining from FC Twente in February and scored one of the goals of the season with a stunning goal against Arsenal Ladies in July. Van de Sanden is up for the NWFA Women's Player of the Year award. England U17 international Charles, meanwhile, shot to prominence this year after scoring 13 goals in 11 games for the U17s before making her Liverpool debut at the age of 16 against Sunderland Ladies in April. 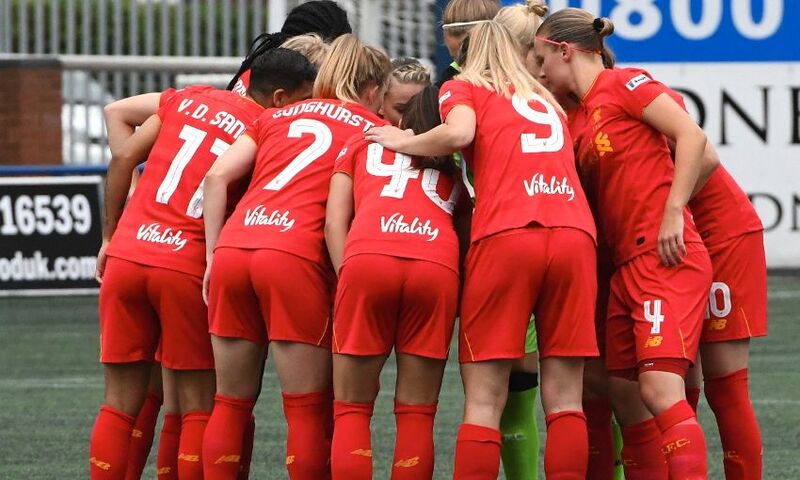 The highly-rated youngster then came off the bench in the Reds' next fixture against Chelsea Ladies, setting up a goal in the 2-1 defeat to the WSL Champions. Charles, nominated for the NWFA's Women's Rising Star prize, also scored two goals for England U17s in their third-place play-off with Norway, as the Lionesses qualified for the U17 Women's World Cup with a 2-1 victory. To cast your vote for Van de Sanden and Charles, click here.